The Asia Championship Winter 2019 is here! 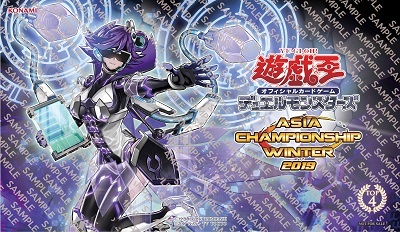 The top Duelists from all over Asia will be gathering in Hong Kong this coming January for the Asia Championship Winter 2019 to fight for the champion title and obtain a spot directly at the Asia Championship 2019 main event top cut for the path to the World Championship 2019! 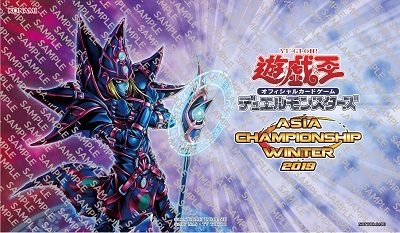 The participants of the Asia Championship Winter 2019 Main Event will receive this participant duel field. The top 4 winners of the Asia Championship Winter 2019 will also receive this duel field as their prize!. Pre-registrants will be able to enter at a discounted registration fee of $200 HKD for the ACSW 2019 Side Event. It would be held on 5th Jan, at the event venue of ACSW 2019 Hong Kong Qualifier, please look out for announcements. Very limited slots will be available for on-site registration on 19 January on a first come first serve basis, while slots last. Photos and videos will be taken during the event by our staff. These may be used in Yu-Gi-Oh! related marketing and promotional material in the future. If you are not willing to be taken, please notify to our staff on site. For the rest participants, you will be considered as understand and automatically agree to the above notice.